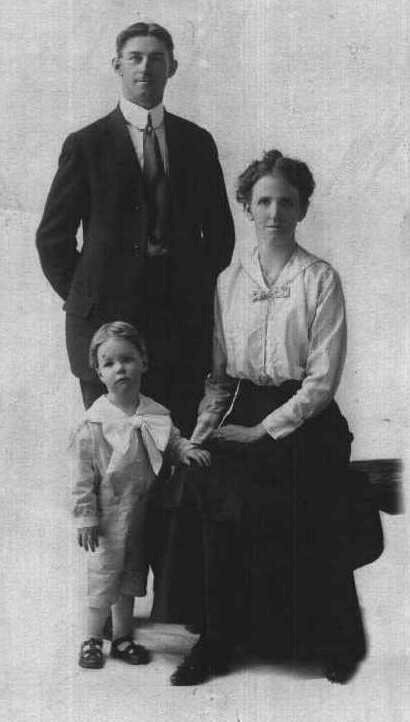 Olin Edward Shafer, Lena Belle (nee Fitch)Ross Shafer and Clinton Olin Shafer. Olin and Lena married 5/24/1914 in Everett, WA. Lena had been married before to Wm. Ross and had 5 (4 living) by Mr. Ross. Lena and Olin had Clinton Olin on 5/11/1915 They later divorced and Olin E. vanished about 1924/25. We think he may have gone back to MI. While in Seattle he worked for the Volunteer (name not action) Fire Dept. in Seattle.